Monday morning I dj’d the traffic jam segment (6:50, 7:50, 8:50) of the J-Will Jamboree morning show. For those of you who don’t know, J-Will and I work together at Vapor Night Club twice a month. He’s the emcee, I’m the dj (<—-see what I did there? hint: Jazzy Jeff reference, please look it up!) Whenever J-Will and I rocked Vapor, the chemistry was undeniable and so…the inevitable collaboration occured. 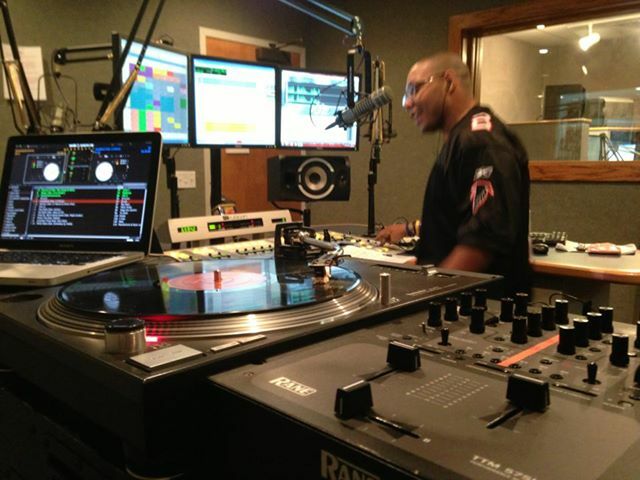 Check out J-Will’s soundcloud for the audio clip of Mondays traffic jam: https://soundcloud.com/jamz-96-3/dj-playground-on-the-j-will. Djing at 6 am was a new experience for me. For 12 years, I dj’d nightclubs and would often times get home at 5 am. That day I left my house at 5:15 am while the sun was peaking it’s pretty little head. These days, times have certainly changed and I’m loving it. J-Will and I had a great show that morning with some very entertaining conversation. He truly is a genius at what he does! Big shout out to Thaddeus (J-Will’s intern) as well. Thaddeus had the inside scoop on all the latest news regarding Drake’s new album leak. I mean, he even had it down to the exact time that it leaked! Thaddeus, It was a pleasure meeting you. You have a bright future my friend. Many thanks to everyone who tuned in Monday morning. Stay tuned for many more shows to come!